Opportunities for outdoor recreation are abundant in Omaha. From area lakes and trails to local parks, you’ll find plenty of space for outdoor fun all across the region. Ideal for biking, walking, jogging and even skating, Omaha features an outstanding 85+ miles of interconnected, paved trails throughout the city. 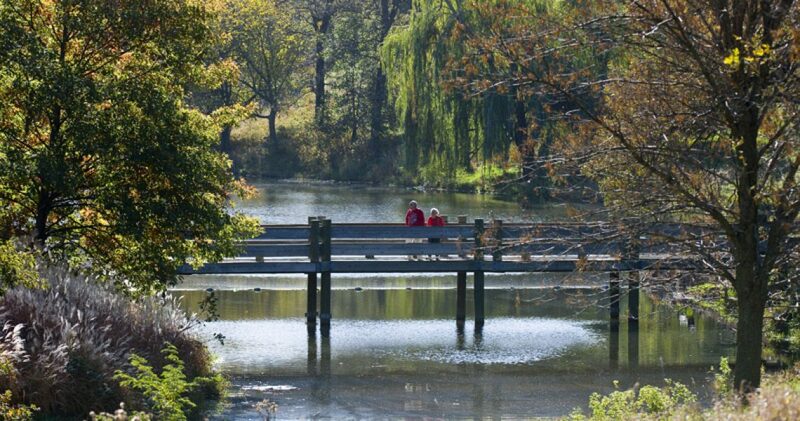 This includes trails winding around Zorinsky Lake, the wetlands of Big Papillion Creek, the Bellevue Loop Trail and the trails of Platte River State Park. With nearly 250 area parks to choose from, Omaha presents a wide variety of options in outdoor recreation and green space. You’ll find everything from warm-weather windsurfing and paddle boarding to cross-country skiing in the cooler months of the year. In addition, area parks offer playgrounds, picnic grounds, tennis courts and nature centers. Meanwhile, Roberts Skate Park features a concrete park ideal for skateboarding and in-line skating. Plentiful options in outdoor fun can be found at any one of the area lakes. Omaha is home to several local lakes, including Zorinsky Lake in West Omaha. It includes its own fishing dock, with room for kayaking and picnics. Meanwhile, Standing Bear Lake is a day-use only facility with space for fishing and no-wake boating. Chalco Hills Recreation Area offers up a fishing pier and a boat launch at Wehrspann Lake. Glenn Cunningham Lake, meanwhile, additionally provides room for fishing and no-wake boating. More outdoor fun can be found along the Missouri River, with river cruises, boat ramps and fishing. Along with the nation’s longest river, the Elkhorn River also offers up outdoor fun including float trips, tubing and kayaking. If you truly want a taste of the outdoors, try camping at one of the region’s many parks. These include RV camping at nearby Mahoney State Park, as well as RV pads and tent camping at Glenn Cunningham Lake. In addition, you’ll also find RV camping at Dodge Memorial Park, plus tent and RV camping at Two Rivers, Walnut Creek Lake & Recreation Area in Papillion and at Riverwest Park.